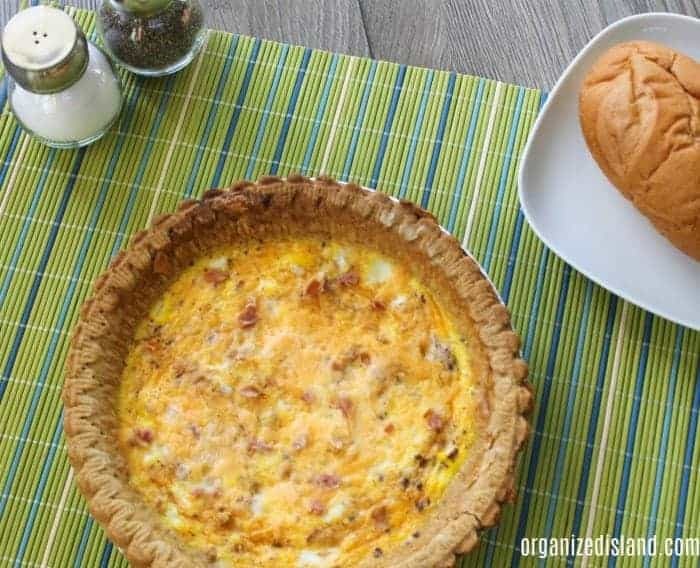 This Easy Bacon Cheese Quiche Recipe is perfect for an impromptu brunch or breakfast! Hello Friends! Did you have a wonderful weekend? Ours was filled with friends and football. 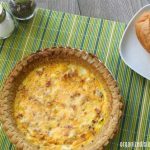 Recently, I updated my simple quiche recipe, so I am sharing it with you today. It not only makes a great breakfast or brunch idea, but you can also serve it for dinner. The best part is that it can be made ahead which makes it a great make-ahead breakfast recipe. I like to use a frozen pie crust because they taste just as good as homemade, but it saves you so much time. You can also add ham or spinach to the batter. 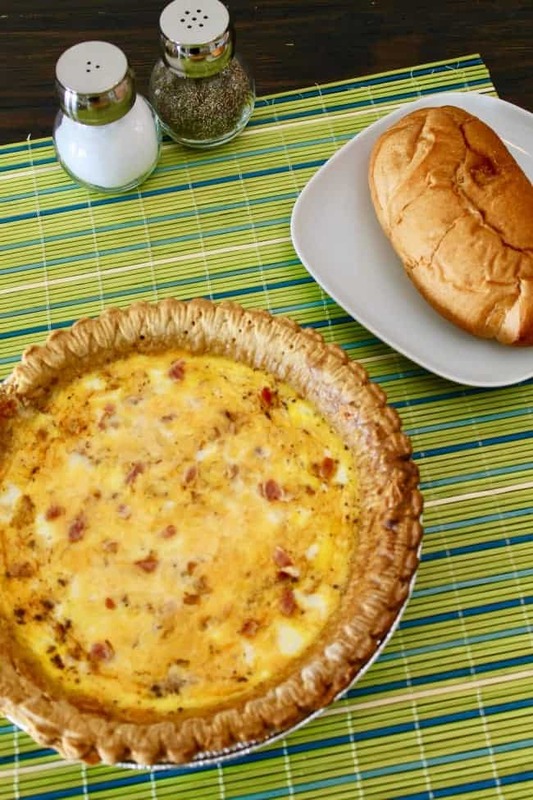 In no time at all, you will have a wonderful savory breakfast quiche. Mmm! Who is ready to eat? Thaw frozen pie crust as directed on package and poke holes in crust with fork. Mix eggs, milk, and nutmeg in a bowl. 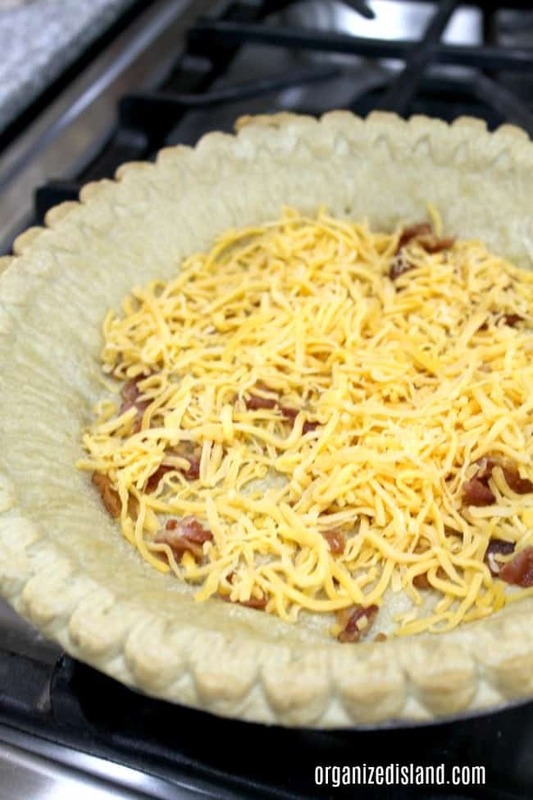 Add the bacon and cheese to the crust. Pour egg mixture into crust. 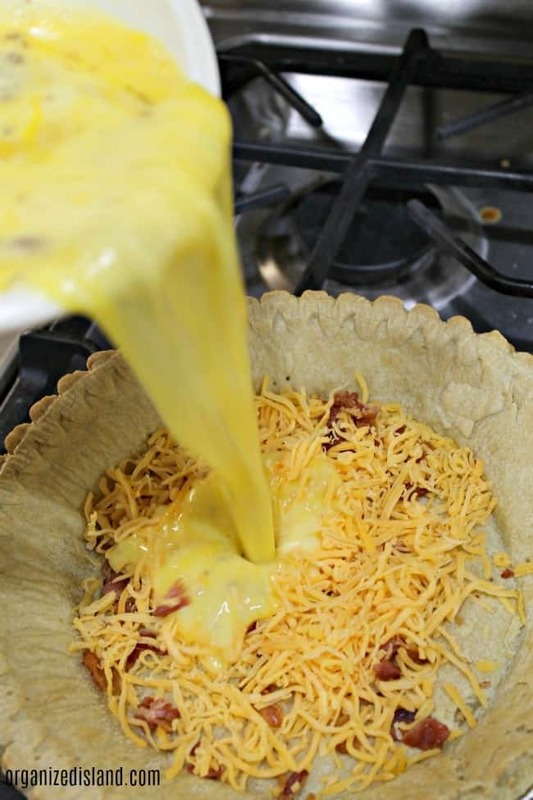 Place quiche on a cookie sheet and cook 20 – 30 minutes in 350°oven until top is golden and puffed. This is a favorite recipe and it was one of the first recipes I posted on this blog back in 2012. You can see the original simple quiche recipe here and please forgive me for the bad photos. Thankfully, my photography has improved a bit since then. We hope you enjoyed this quick and easy recipe. If you enjoyed this recipe, please share it with someone who might enjoy it. Sounds delicious for holiday company. Mmm.. I’m so obsessed with quiche. That’s my favorite thing from our local pie bar! Sweet pie? Meh. I love your new photos! It is such a great meal any time of day!